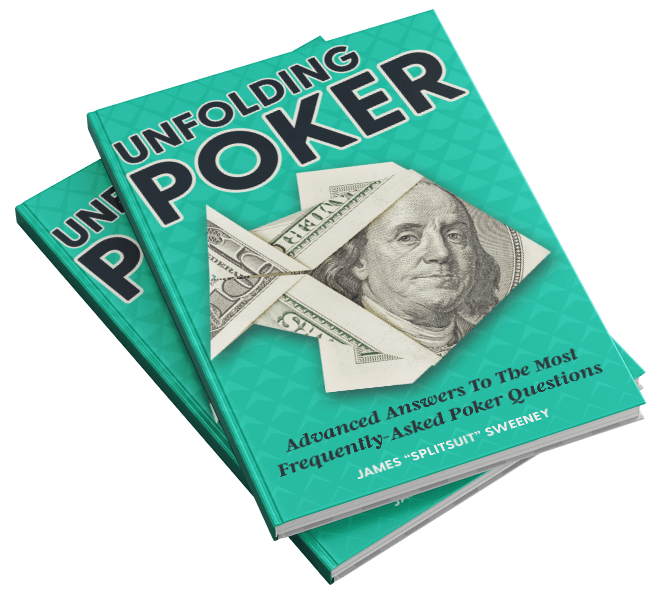 Unfolding Poker Book, Audiobook, and More! 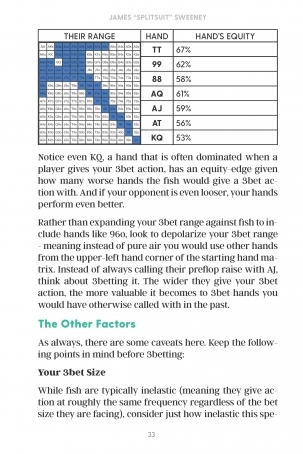 Even though poker is a vastly complex game, it is not surprising that the same questions come up over and over again. 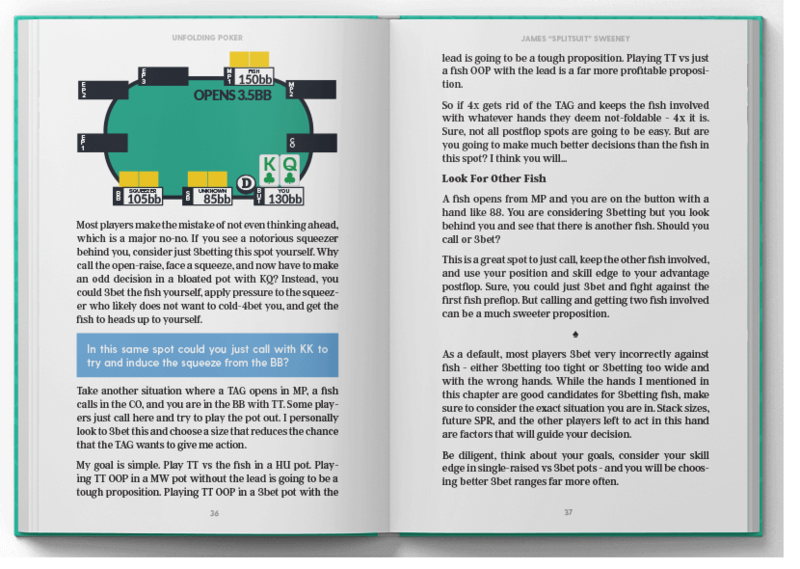 This book takes the most frequently-asked poker questions and gives actionable answers that you can begin using in your next session. Each answer is in-depth without massive amounts of jargon and confusing concepts. Looking for even more information? 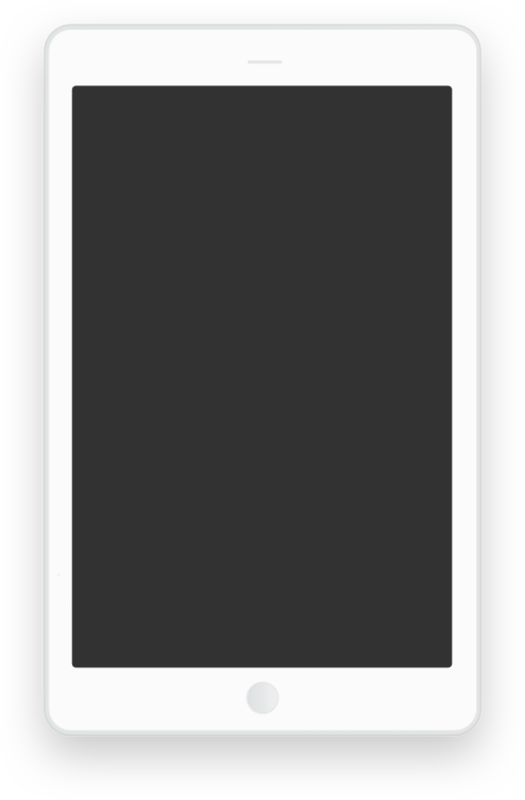 Most chapters have links to related and expanded free content. The complete audiobook is perfect for quick study sessions in the car and on the go. "I currently play live $1/$2 and $2/$5 and found topics in the book that aid me in making better decisions. Information in the book is clear and concise. I like that the book provides links if one wants to go into further detail on a topic. Definitely a worthwhile investment if you wish to improve your game." "James taught me things I was delighted to learn, insights I didn't even know I was missing. He's got an intense math and range brain, yet the tone of this book is open, clear, and inviting. James is one of the hardest working educators out there, and that commitment shines through on every page." Poker books tend to be too long and require a large time investment to finish them. This book breaks that mold. Open up to any chapter that interests you that day, read it quickly, and put it to use in your next session. Get clear and actionable answers to the questions that impact your winrate today. James Sweeney, aka SplitSuit, has been playing poker for over a decade and coaching players for more than 8 years. 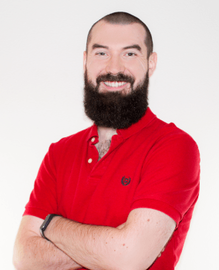 Over that time he's worked 1-on-1 with over 500 students to improve their strategy, he's released over 500 videos, wrote the best-selling book Dynamic Full Ring Poker: Beyond The Basics and co-founded Red Chip Poker to create the best poker community around.